As good as game reviews can be, there’s nothing quite like getting the chance to play a game for yourself to work out whether it’s worth your money. Now Ubisoft is providing customers with a pretty convenient way of trying out its latest blockbuster, Watch Dogs 2. But this demo has an interesting twist. 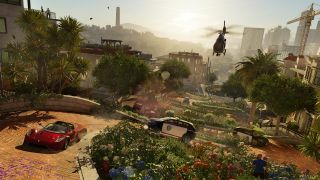 Rather than providing gamers with a selective slice of the game to try out, Ubisoft will instead allow you to play as much of the game as you can over the course of three hours, which is helpful considering the game’s open-world nature. The only limit to what you can achieve in these three hours is your own speed. This means you’ll be able to play the game’s online multiplayer, and you’ll even be able to purchase the game’s downloadable content. If you choose to upgrade to the full version of the game then your progress from the demo will carry over. So if you’ve been on the fence about Watch Dogs 2, this might be the perfect way of working out whether it’s the game for you. The trial is available on PS4 now, and will be available on Xbox One from January 24. Check out our full Watch Dogs 2 review if you want to know whether it’s worth three hours of your precious time.